Crowd favorite Adam Enticknap, the 7DeuceDeuce, is known just as well off the track as he is on...mostly due to his eccentric and all-around moto-loving personality and his skills with a mic. Today, on 7/22, he's dropping a full-length moto-themed music video entitled "My Bikes Too Lit" filmed at Pro Circuit and Milestone MX Park. 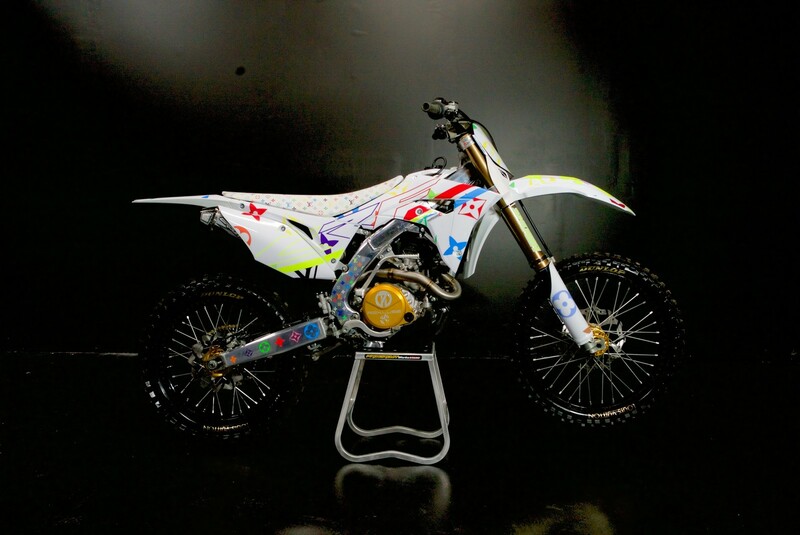 Even better yet, this wild looking machine is his race bike for the Washougal National...shhh, we didn't say that. Hit the play button below to catch Adam in his element and hit the link to find the song on iTunes. Also, keep an eye out for a full album he's releasing in just a couple months. One of the songs was even featured in his ELEVATED feature we posted a couple months ago (link for that is below as well).